Thousands of Trump supporters lined the roads today in Crosby, Texas to cheer President Donald Trump. The video is just amazing! This president continues to hold strong support from his base despite the disappointments from the Republican Congress. The post WOW! 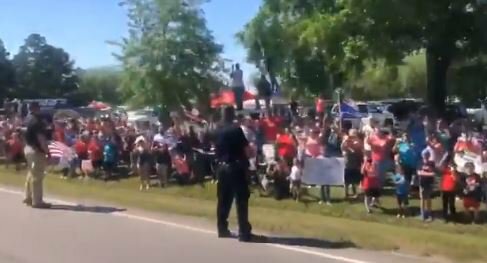 THOUSANDS Line Up to Cheer President Donald Trump as He Rides into Crosby, Texas (VIDEO) appeared first on The Gateway Pundit.